Music has historically aided health and loss-adaptation, however, cancer patients’ experience of music for self-care is not well understood. This study examines adult cancer patients’ views about music’s role before and after diagnosis. Constructivist approach, with grounded theory informed design using convenience, snowball and theoretical sampling. 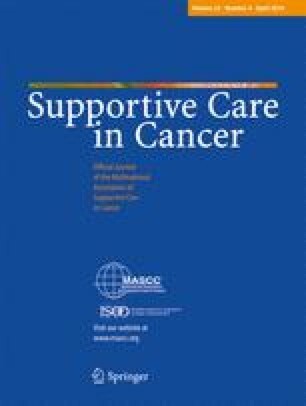 Patients from Australian metropolitan cancer and hospice settings completed demographic questionnaires and participated in semi-structured interviews. Qualitative inter-rater reliability was applied. Fifty-two patients reported comparable time spent experiencing music pre-post diagnosis. Music may remain incidental; however, many patients adapt music usage to ameliorate cancer’s aversive effects. Patients often draw from their musical lives and explore unfamiliar music to: remain connected with pre-illness identities; strengthen capacity for enduring treatment, ongoing survival (even when knowing “you’re going to die”), or facing death; reframe upended worlds; and live enriched lives. Patients can ascribe human or physical properties to music when describing its transformative effects. Familiar lyrics maybe reinterpreted, and patients’ intensified emotional reactions to music can reflect their threatened mortality. Sometimes music becomes inaccessible, elusive, and/or intensifies distress and is avoided. Families’, friends’ and professionals’ recognition of patients’ altered musical lives and music-based suggestions can extend patients’ use of music for self-care. Health professionals can support patients by inquiring about their music behaviours and recognising that altered music usage may signify vulnerability. Although commonly recommended, hospital concerts and music broadcasts need sensitive delivery. Patients’ preferred music should be available in diagnostic, treatment and palliative settings because it can promote endurance and life enrichment. The authors thank the 52 people who shared their stories for this research. Clare O’Callaghan’s contribution was enabled through a National Health and Medical Research Council (NHMRC) postdoctoral fellowship in palliative care (2008-9). The authors had no conflict of interest in this study. They all had full control, that is, access to all primary data, and agree to allow the Journal to review the data if requested.